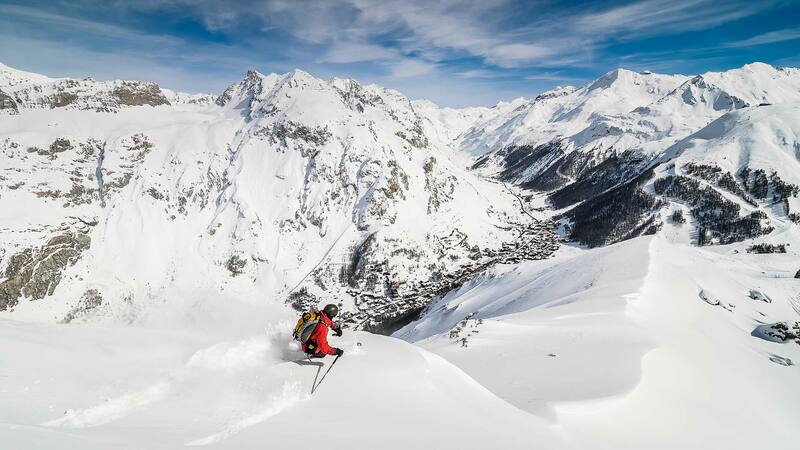 Sainte Foy’s central location is the perfect base from which to explore other surrounding resorts of Val d’Isere, Tignes, Les Arcs & La Rosiere, without the price tag. What better way to discover all these resorts in one week! Exploring the local surrounding ski resorts is a great experience for both skiers and non skiers. For skiers it offers a packed day on the mountain where you can sample the excitement and diversity of a big resort. For non-skiers there’s plenty of shopping, sights and alternative activities to experience. These big resorts can get very busy during peak weeks so consider this when you are planning your safari experience. When you purchase a your 6-day Sainte Foy lift passes with us, not only will you have 35km of uncrowded pristine piste at your chalet’s doorstep, but you will receive heavily discounted day passes to some of the nearby resorts. 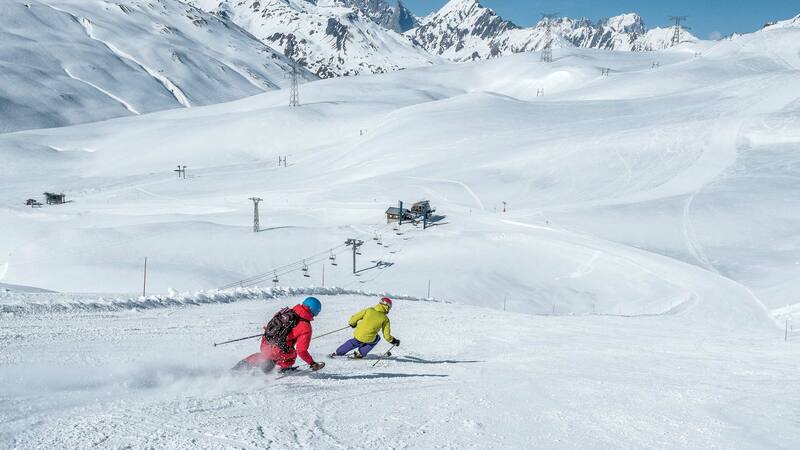 You can collect your discounted ski pass from Tignes Les Brévières for the Espace Killy (Tignes and Val d’Isère) area if you have a 6-day Sainte Foy lift pass. This is also the nearest of the Tignes sectors to Sainte Foy. La Daille, is the nearest sector of Val d’Isere to Sainte Foy. From here 6-day Sainte Foy lift pass holders can redeem their discounted day passes to the entire Espace Killy (Val d’Isère and Tignes). You can collect your discounted day pass for all of the Les Arcs sectors from Villaroger (15 minutes drive away) which is on the back side of Les Arcs. You need to demonstrate your possession of 6-day Sainte Foy lift pass. 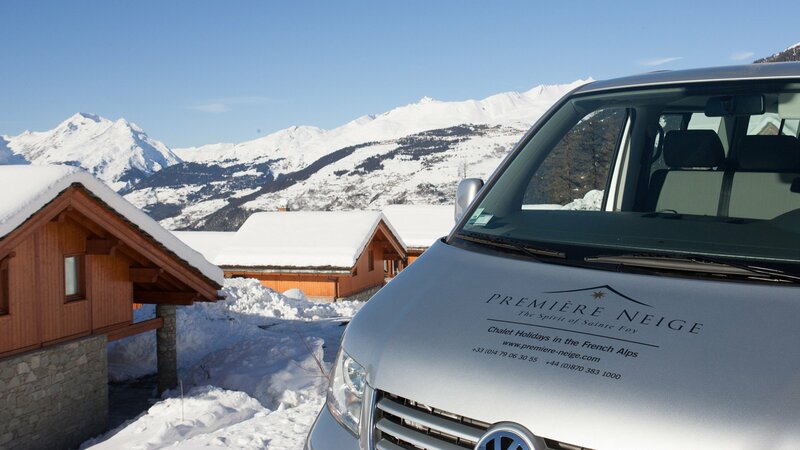 We can organise an inter-resort transfer; pop into our Concierge office during your holiday (or if in a catered chalet, speak to your chalet host) to find out pricing and availability. Alternatively you can contact our Concierge team online or over the phone for further information. If you’d like to have an inclusive transfer price for the week. select your resort each day. 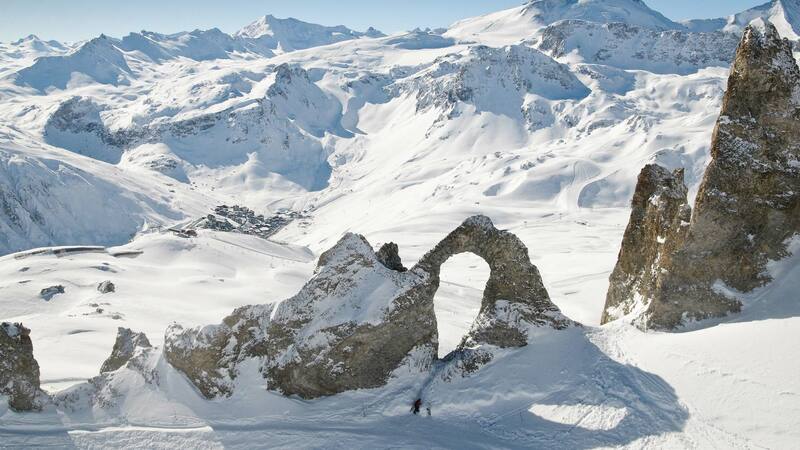 Tignes is a sizeable ski resort located 19.5km and around 25 minutes’ drive from Sainte Foy. 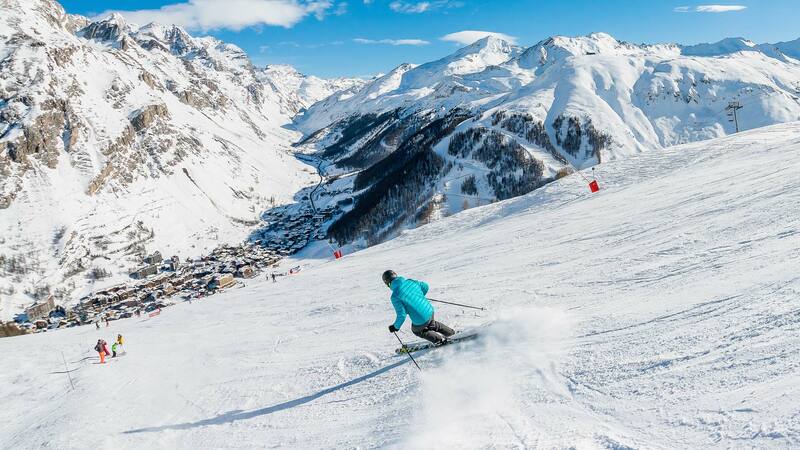 The skiable area of Espace Killy Tignes Val d’Isère comprises 300 kilometres of ski runs located at altitudes ranging between 1,550 metres and 3,450 metres. There are four main parts to Tignes; Les Brévières, Les Boisses, Le Lac and Val Claret. A large ski resort within the Espace Killy, located 20km and around 25 minutes’ drive from Sainte Foy. There are three main parts to the resort; La Daille, Val d’Isère 1850, and Le Fornet. La Daille has some tree runs, a snowpark, and allows access over to Tignes for those wishing to explore further afield. The main part of the resort, Val d’Isère 1850, is very close to the town and from here you can take the ‘Solaise’ chairlift or gondola. Le Fornet, hosts glacier skiing at over 3300m. The resort itself is located 19.5km and around a 25-30 minutes’ drive from Sainte Foy resort. From La Rosière ski resort you can ski or snowboard over the Col du Petit Saint Bernard to La Thuile, Italy for the day. This large area is known as the Espace San Bernardo. In order to reach the Italian border, there is one very long drag lift suited to confident skiers and snowboarders. Heli-skiing is available on the Italian side of the border. La Rosière has around 150km of ski runs, the majority of which are quite gentle, although steeper terrain is available. Les Arcs comprises 3 main centres; Arc 1600, Arc 1850 and Arc 2000. 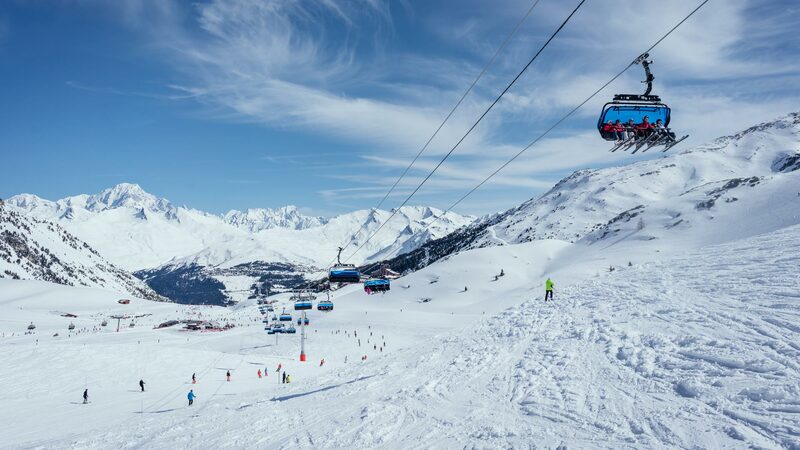 Combining with Peisey-Vallandry and La Plagne, Les Arcs is part of the Paradiski ski area. The ski areas can be accessed either by the funicular in Bourg-Saint-Maurice or via a chairlift directly from Villaroger, a village just across from Sainte Foy (10km). Experience glacier skiing from the top lift on the Aiguille Rouge (Red Needle) at 3226m, which provides spectacular panoramic views across the valley to the impressive Mont Blanc.